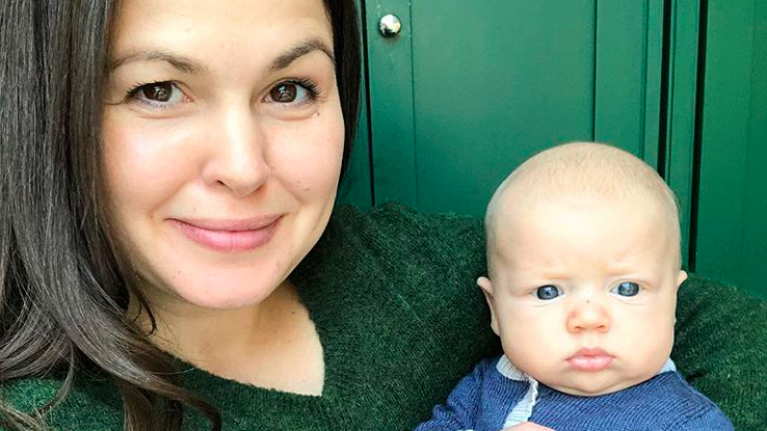 Giovanna Fletcher has been praised by fans for her honest insist into adjusting to her post-baby body. The mum and her husband, McFly's Tom Fletcher, welcomed their third child - little Max - 10 weeks ago. They are already parents to four-year-old Buzz and Buddy, two. The 33-year-old took to Instagram earlier this week to share a candid post about being in the "odd post-pregnancy stage where nothing fits" - and how she is struggling to find clothing that makes her "feel good"
"I’m currently at a very odd post-pregnancy stage where my clothes usually make me feel poo... nothing fits. "I’m 10 weeks in and thankfully not berating my body after its wonderful job of bringing another healthy child into my life. But today this outfit has made me feel good. "I smile every time I look down or catch a glimpse of myself in the mirror." Fans began to share their own experiences in the comments under the photo, praising Giovanna for her honesty. "I can totally relate to this so thank you for making me realise I’m not the only one dealing with post pregnancy wardrobe issues." "This is exactly the same for me at 9 weeks pp. I felt great in my maternity clothes and look like a total frump now nothing fits properly, feel awful. "Thanks for letting us know that you feel the same though I think you look gorgeous." "At last! A celeb who hasn’t bounced right back to pre pregnancy body and who isn’t pressuring herself to do it either!! "So great to see such post baby positivity in the media! You look fab. My baby is 5 months old now, my second daughter, and Im in a similar position".